Naturalist and filmmaker Malcolm Rymer is also a keen waterfowl aviculturist - a duck keeper. Over the last 30 years he has kept dozens of different, captive-bred waterfowl species from all over the world, but one in particular stands out as his long-term favourite - branta ruficollis - the elegant Red-breasted Goose. It is this special interest which draws him to the Black Sea coast of Bulgaria each February to study the geese on their wintering grounds. From this annual pilgrimage, initially to enjoy the company of these evocative creatures in the wild, it soon became apparent that Bulgaria's other supporting winter wildlife is also a bit special. The mountain areas, still unchanged by time, can be hauntingly beautiful at this season, and the more urban Bourgas Lakes are brimming with birdlife. 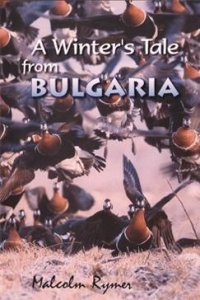 Many thousands of European white-fronted geese, wintering wildfowl, grebes, divers, larks, woodpeckers, owls, pelicans; long-legged and rough-legged buzzards from the north; eagles and vultures in the Rhodope mountains - all feature in this production, filmed over several winters.